Can Old Stodgy Brands with Negative Perceptions really Reinvent Themselves? There is only one way for a brand plagued with a negative brand perception to survive – tackle it head on. Acknowledge shortcomings, address the issues externally and internally and take significant actions to fix things. There are many brands that should take this advice to heart. One example is the United States Postal Service. 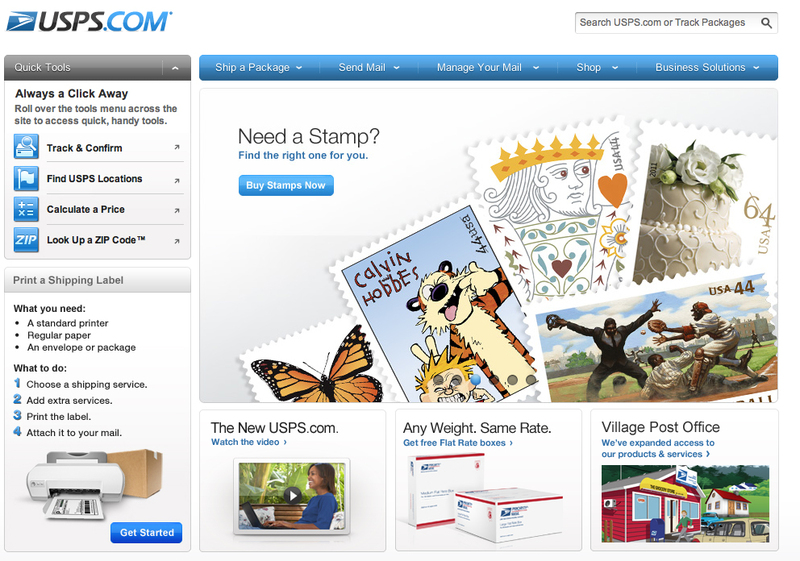 If you’ve visited the USPS website lately, you will have noticed that they have a brand new look and feel. In fact, they look downright contemporary, with a website that is actually useful and user friendly. Quite unexpected for USPS. According to the website, their strategic plan and vision for 2013 is based on three major strategies: Focus on what matters most to customers, Leverage our strengths, Embrace change. USPS is undergoing a dramatic change. They have no choice. With the significant reduction in mail over recent years and rising costs, their business model is no longer sustainable. Add to that the negative image that has plagued them for decades and they have a real challenge. But a new website, no matter how great, is not enough. The change has to be real and go beyond a facelift. There are many examples of brands that have overcome a negative perception caused by many factors from less relevant products and services, to disasters, to poor management and have been able to turn themselves around and recover. Brands such as Apple, Continental Airlines, Bridgestone and Perrier are good examples. But USPS is different. There isn’t one single crisis that has caused their negative perceptions, nor can one point to a management team that has done a poor job. Like the US automobile industry, their demise has happened over years, as the appointed leadership has kept their heads in the sand, unable to take significant action in a world changing around them and secure the resources they need from Congress. No easy task. The USPS started in 1775 and founded itself on reliable service promising that “Neither snow nor rain nor heat nor gloom of night stays these couriers from the swift completion of their appointed rounds”. Unfortunately this has not been enough to sustain the ‘business’. Even after the Postal Reorganization Act of 1970, when they became an independent agency, they did little to act like one but instead continued to behave like a government run organization. And they certainly did not respond to the growth of overnight and parcel service competition from the likes of FedEx and UPS. They have more than lagged in the adoption of new technology and have seemed reluctant to stay relevant in the fast paced society we now live in. At this point, it is undoubtedly not enough for them to take a few steps to move forward. It is time for them to leapfrog. In order to survive, they will need to address the whole enchilada. They will need to adjust office hours and services to be more competitive and relevant to their customers again. They must embrace technology beyond a new website. In classic brand terms, they have to learn to put the customer first. A consequence is that they will most likely have to close offices and open more conveniently located kiosks to better serve their customers and reduce costs. Every business has had to make radical changes at some point in their evolution. The challenge for the USPS will be to do so in a way that is believable and credible and super-convenient for their business and residential customers. They will need to deliver (no pun intended) above and beyond on their promises if they are to survive and restore their image as being reliable, friendly and indispensible. The US Postal worker is an American icon. It would be a shame to lose that.